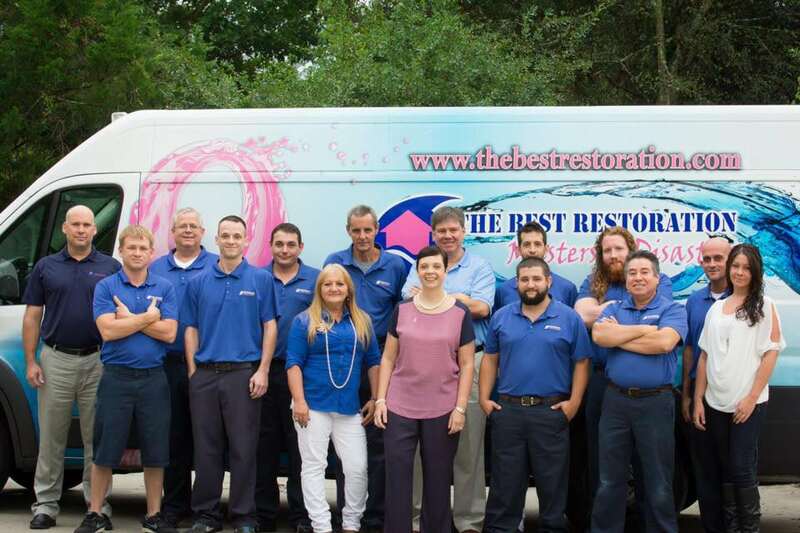 Getting Carpets Cleaned, Better Call The Best Restoration. Brushing and vacuuming carpets, while being helpful, don’t count as carpet cleaning. Vacuuming should be done twice a week, slowly and in repetitive patterns over the same areas in order to remove around 80% of the dirt and grime that accumulates in your carpets. You should however, have your carpets cleaned professionally at least twice a year to remove all the dirt and grime that is found in the fibers. Nasty things can accumulate in your carpeting, such as dust mites and other germs. You walk dirt and sometimes other things into your home, food gets dropped, pet hair and feces is also often found in carpets, human skin that has been shed, juice, alcohol and even diaper overflow can all be accumulated in your carpets. Surface cleans and vacuuming does not remove all the nasty stuff from the carpets. For your health and that of your family, having your carpets cleaned professionally can remove the pathogens that hide within the fibers of your carpets. Allergens such as dust mites, bedbugs, pollen, animal hair and so forth can safely be extracted from the carpet. Soil, bio-pollutants and organic compounds can be completely removed. Less chemicals are left in the carpet than if you used off the shelf cleaners. Very little moisture is left in the carpets when you clean professionally, reducing the chance of mold developing. All cleaning waste is properly disposed of. The high heat used in the hot water extraction carpet cleaning methods normally used by gainesville carpet cleaning companies also kills the pathogens that might be sheltering in your carpet. Cleaning your carpets properly also lengthens the lifespan of the carpet. Soils act as a grinding material cutting away at the fibers of your pile, eventually reducing its overall lifespan, which means you will have to remove and replace the carpet a lot sooner. A clean carpet also looks better and makes a room look clean. Also, getting carpet cleaned professionally also removes all the deep ingrained soil and dirt, making it easier to pick up the surface dirt with the vacuum for some time afterwards. Carpet cleaning done by professionals will often also remove all those spots and stains which have caused blemishes on your carpet. The sooner these are removed, the better for your carpet and your home cleanliness. Your air in your home will also be cleaner when pollutants and dust trapped in your carpets are removed from your home. Professional carpet cleaning companies in Gainesville, generally use biodegradable carpet cleaning solutions which do not harm the environment or leave a residue on your carpet. 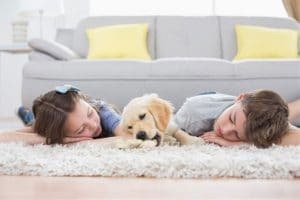 Babies and pets and even you and your older children may spend time sitting, walking, crawling on the carpets, so it is always good to know that they are not full of harsh chemicals that can be just as detrimental to health as the pollutants in your carpet. A clean carpet, done the right way, can leave you feeling as ease with allowing your little ones to lie or sit on your carpet. Fire Smoke Damage – What Next?